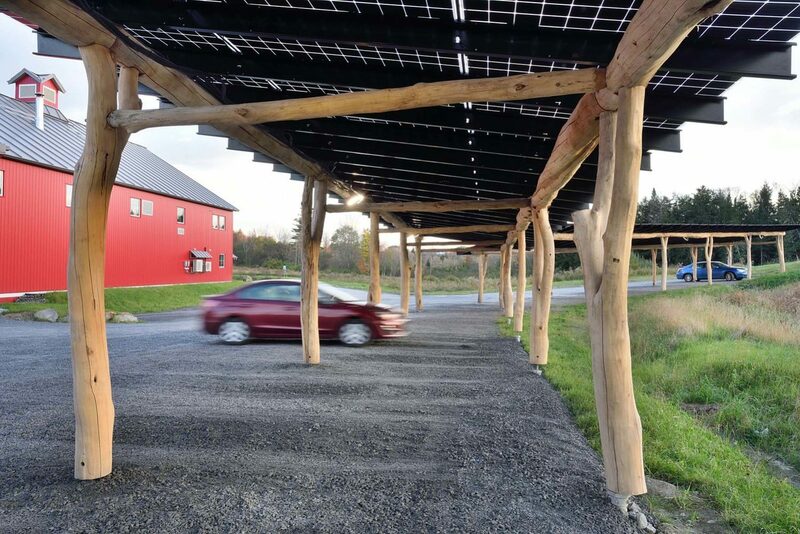 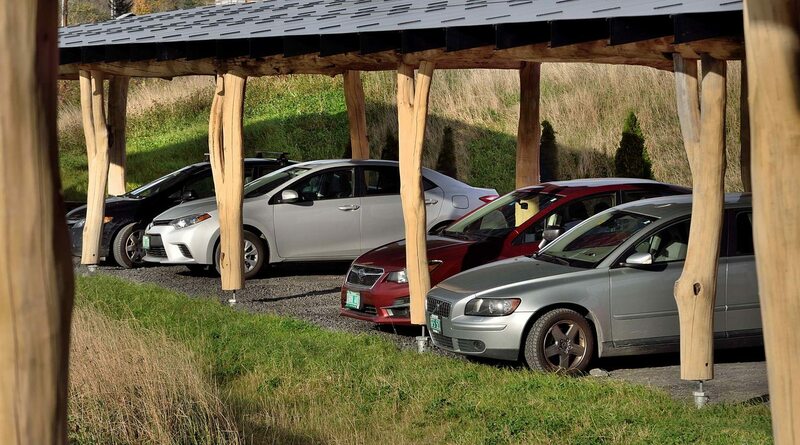 WholeTrees teamed up with Vermont solar installer, SunCommon, to develop Pre-engineered WholeTrees® Solar Carports. 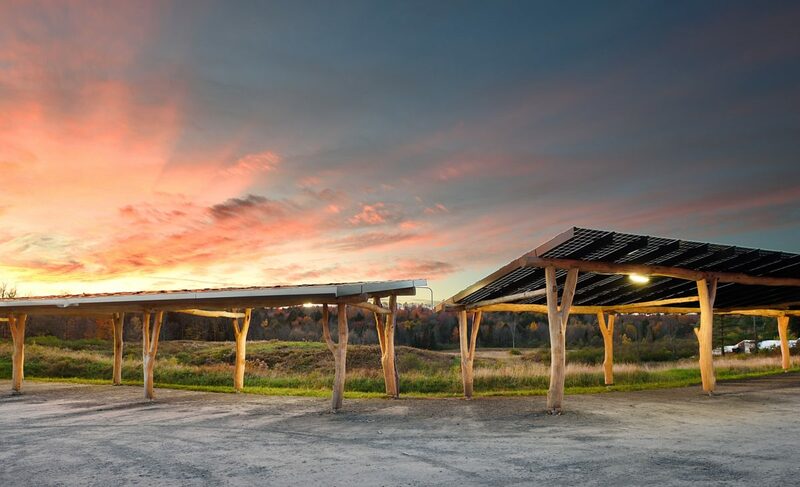 We delivered these 5 and 6-bay carports for clients enjoying their coffee and bakery at the cafe. 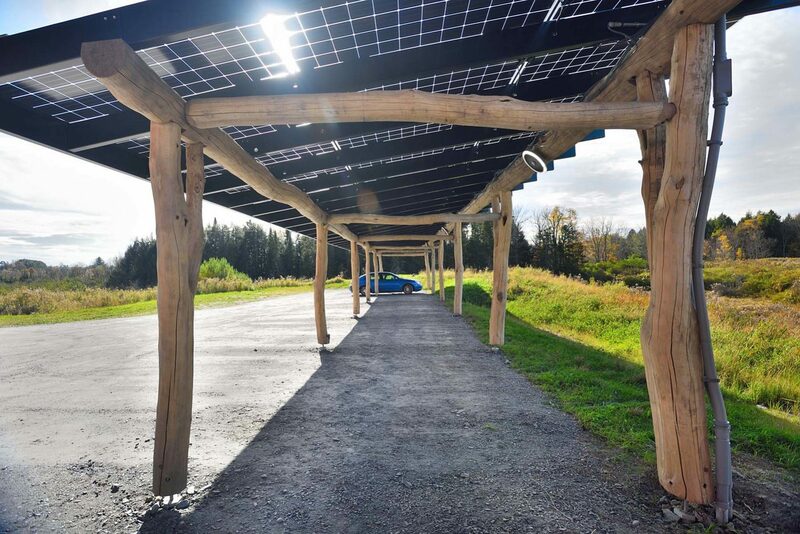 This 64 kW system covers cars and provides energy for the facility. 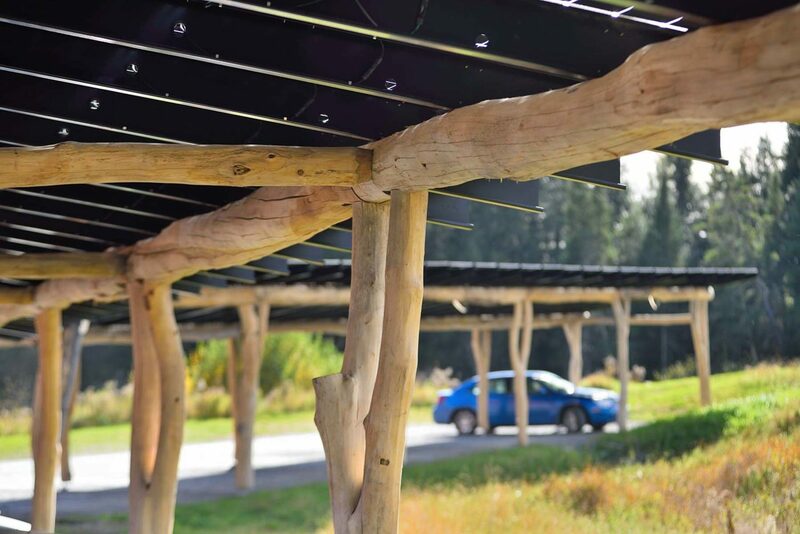 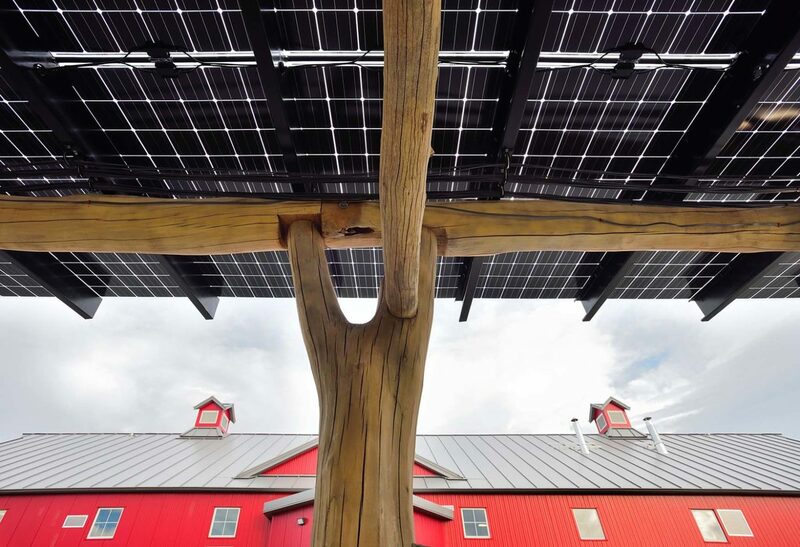 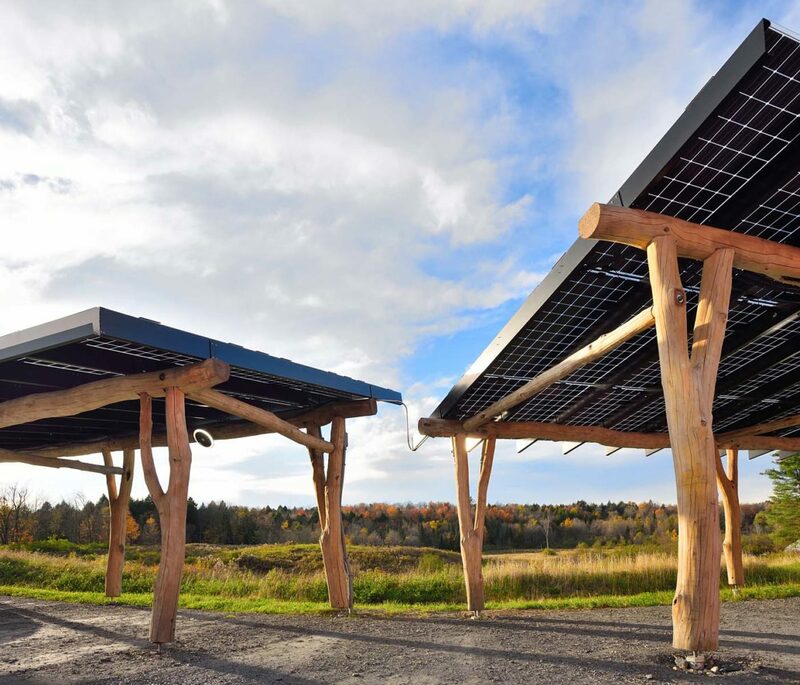 WholeTrees continues to develop larger and more robust solar carport products to allow customers to support their renewable energy systems on renewable resources. 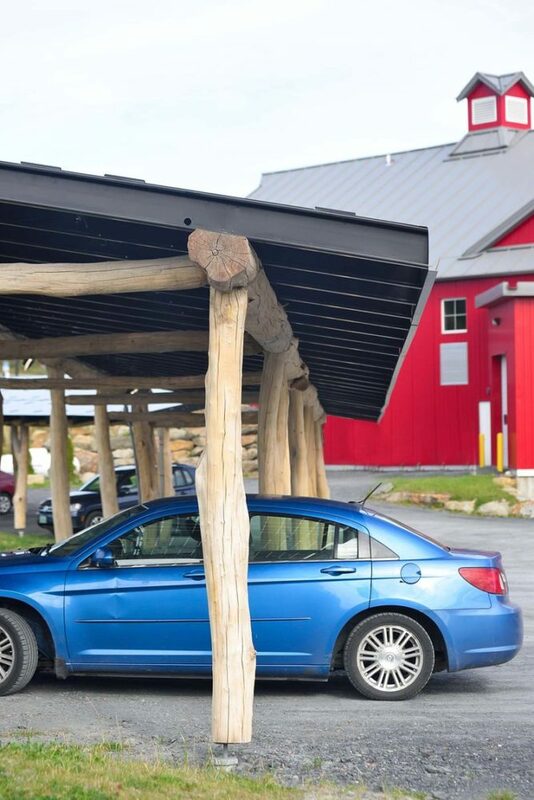 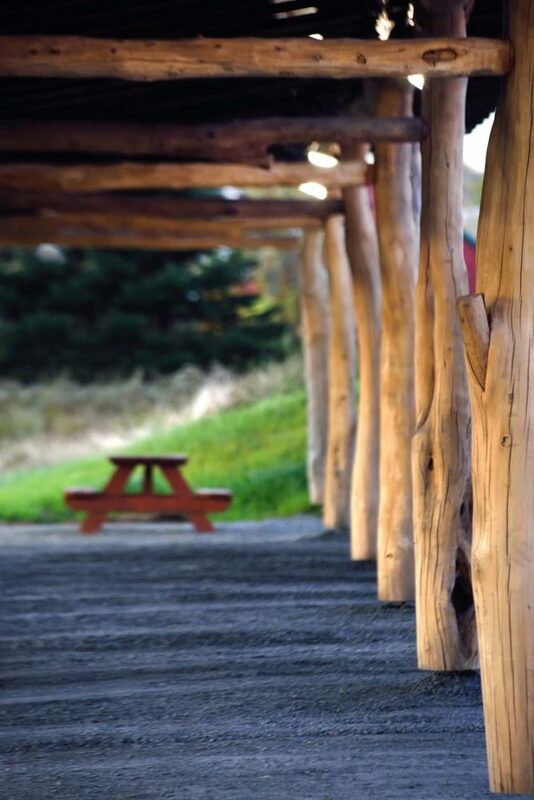 Learn more about the story of our carport structures in our recent LinkedIn article.